BECAUSE PREVENTION IS BETTER THAN CURE and it is such a major part of good dental care, it’s critical to visit the dentist for regular checkups. 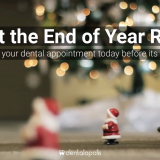 In most cases, two regular dental cleanings a year will be all you need, but not always. So what are the signs that you shouldn’t wait until your next scheduled appointment to come back? For this blog post, we’ve listed the top five. 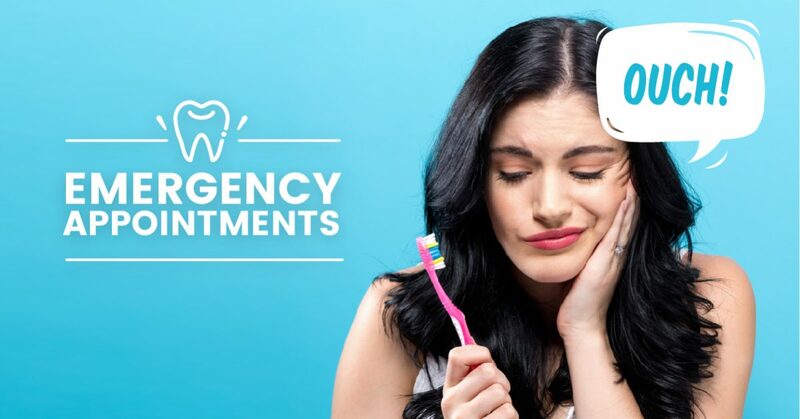 While we hope you come to see us right away if you notice any of these signs, we want to reemphasize the importance of scheduling regular appointments. 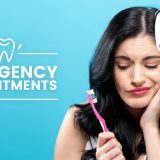 Most dental health problems appear gradually, and an appointment every six months is enough to catch these problems before they become serious. To book an appointment with us, click HERE or call 832-510-3282 today! Thank you for trusting in us to take care of all your dental needs! 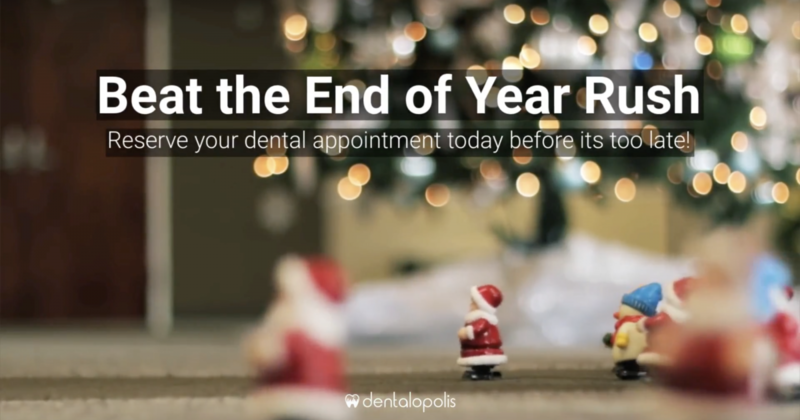 2017 IS ALMOST OVER, and that means it’s time to talk about dental insurance. Most dental plans don’t let the benefits roll over into the next year if they go unused. If you haven’t yet taken advantage of all your benefits, then now is the time to do so! At Dentalopolis, we accept most PPO insurance. Most PPO Insurance Holders: 100% Covered Exam, X-Rays, Cleaning! New PPO patients at Dentalopolis also have the option to redeem a FREE Take-home Whitening Kit after they have their Exam, X-rays and Cleaning done. DID YOU KNOW THAT TOOTH DECAY is the most common chronic disease in children? An estimated 42 percent of children between ages two and 11 get tooth decay in their baby teeth, and it doesn’t stop there, with 59 percent of kids between 12 and 19 getting at least one cavity. As alarming as these statistics are, childhood tooth decay can be prevented with good oral health habits and regular dental appointments. Help your kids get ready for school with a Back To School Dental Checkup! Why Schedule A Back-To-School Dental Appointment? When it comes to the health of your children’s teeth, an ounce of prevention is absolutely worth a pound of cure. If you wait until there’s an obvious problem, it’ll take more extensive (and expensive) treatment to fix. Teeth won’t start to hurt until decay has reached the dental pulp, so bring your children in for an appointment before it can get that far. During your child’s dental visit, the dentist will check for cavities, possible bite problems, and orthodontic issues (eg. if braces are needed). At your visit, x-rays are taken and there will be revision for flossing and brushing routines. Your children’s back-to-school dental exam will reestablish dental hygiene routines every morning and night before bed. If a fluoride swish or rinse program is not offered at your child’s school, your dentist may recommend buying a mouth rinse made specifically for kids that contains fluoride. Dentalopolis also offers a fluoride treatment at a regular dental visit to help protect teeth and prevent cavities. Help your kids have a healthy smile by making dental hygiene for kids fun! One way to do this is to brush and floss with your kids. Children tend to mimic what their parents do and this is definitely a good habit to keep. Another tip is to get a cute toothbrush and/or fruity flavored toothpaste to make tooth brushing special for your kids. Keep record of their dental hygiene with a gold star reward game – kids are given a gold sticker star to display on a board each time they brush their teeth and they win a prize for every 10 stickers they accumulate! How fun is that! Make sure your kids start off their school year right: with healthy teeth and the confidence to share their smile with new friends and teachers. Call now to schedule your child’s back-to-school dental examination! 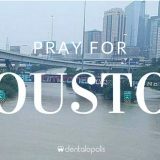 Call 832-510-3282 or book a visit online today! Wishing your kids a mouth-healthy year at school!